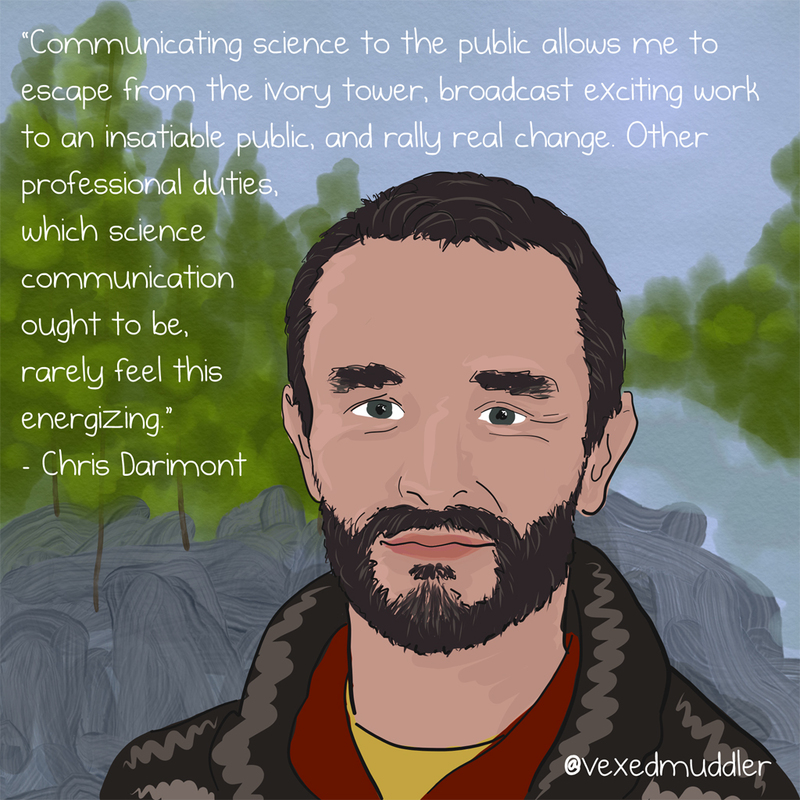 “Communicating science to the public allows me to escape from the ivory tower, broadcast exciting work to an insatiable public, and rally real change. Other professional duties, which science communication ought to be, rarely feel this energizing.” – Chris Darimont, Conservation scientist at the University of Victoria and the Raincoast Conservation Foundation. Originally posted on September 12, 2016.